the wife Puma (1.7), has started (last few weeks), to have a very odd idle. when stopping at lights or stationary for any period the initial idle will be as normal ~ 1000rpm, but then after 30 second or so it will hesitate and either drop to ~800 or even lower 600 (if the lower of the two the battery light will come on). Feel like running on 3 at this point and sometime dies. Usually now when stopped I just tickle the throttle to keep it where it should be and all is fine. Work totally normally at all other engine speeds. 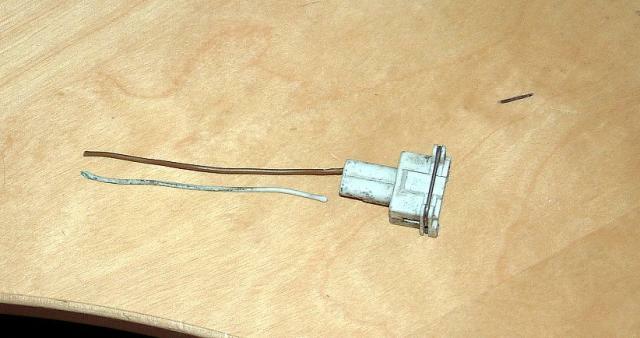 Have changed the plugs, HT leads and the coil pack. No change. You didn't notice any coolant around your spark plugs did you? There was oil as the Rocker cover gasket was leaking (presume never changed in 120k miles (we are second owners from mid 40's and I have never had that changed), so did as per a vid on line, new gasket / good clean and clear gasket sealant on opposite face. Do you have link to the Idle control valve? I'll try a google. Going to take the ICV off and clean, then work through (if not sorted) the MAF with proper MAF cleaner, then if the same Lambda. Just found this https://www.projectp...opic.php?t=4336 think will disconnect battery for 30 mins first, then work through above / below if no improvement. You need to be on desktop mode (not mobile) to see wiki link. Gasket often leaks after can belt change of it is not reseated properly. On pc not mobile (I think that is what you are meaning). Gasket often leaks after can belt change of it is not reseated properly. Do you mean Cambelt? Presume a gasket on back of the ICV? will this getting bugger removing and have to get a new one or use instant gasket or make one from https://www.complete...ing-3-0mm-thick (make all my gaskets for racers with this stuff (take time but worth it)). In desktop mode the wiki is in the top menu along where gallery is, in the engine problems is cleaning the idle control valve. I can't add a link when using my tablet as chrome crashes. Sorry I'm not a mechanic so can't give a response to your gasket question. There is another article in the wiki on erratic idle issues. So going to work through in this order (it is liveable with and goes as normal 99.5% of the time (just idle of say more than 10-20 seconds then drops to much). Clean MAF wires (order MAF Spray cleaner (if the small bolts holding top in it can be gotten out easy). * Should have said, had filter out for a good clean). Pop in a new Lambda (normally when this goes you can tell with really bad drop in MPG - I do not religious check this but if it was consistently creeping below 270 mile on a fill up it might point to that, 1 get 265 - 290 generally - and don't hang about on daily 45-50 mile commute). Have a race pipe to put on to do away with centre box, just not gotten round to it with a bunch of other cars in the Q before. V.soon, wife will love it! The lambada if failing leaves a really thick sooty exhaust tail pipe and a oxygen sensor fault on ECU. Can be seen if do diagnostic check. There is also the crappy little pipe just behind headlight for power steering that ages and compresses. Sorry I'm on tablet again but that pipe is mentioned in wiki article on erratic idle. Sorry to be moron, but is the wiki part of Pumapeople or external as I have not found it with a google. Found this http://www.fordwiki....%3ASearch&go=Go but not the exact URL. Can someone else drop the link into a reply. It is internal. When in desktop mode look along the top bar on the left where you see Gallery, Members. for anyone else so they do not have to go via the wiki. I'll work through both of those. Oddly it seems slightly better when stuck in rush hour traffic with the Ac on! Have a look at this very useful guide to idling problems in the Zetec engine. Throttle Body Position SensorBad idle and stalling when warmLoose EpromWill work through the ones for Hot and cold over and above those already done, plugs, HT and Coil pack. After replacing the plugs, coil pack, (rocker gasket seal - not to do with idle issue), then yesterday taking the ICV and the MAF off and cleaning (with brake cleaner and MAF cleaner respectively). Start it up, seems to run smoother, but after a minute same bloody idle rev drop. So that had not changed. ** What's this about updating my account to allow 3rd party Hosting of pictures? Can find the bit in My Profile to do this. Sure you aren't reading a photo bucket message.